Floyd McClung has reached out to the women God brought across his path and championed them in their callings. For more than 20 years, he and his wife, Sally, have discipled women who are now making a difference in the nations. 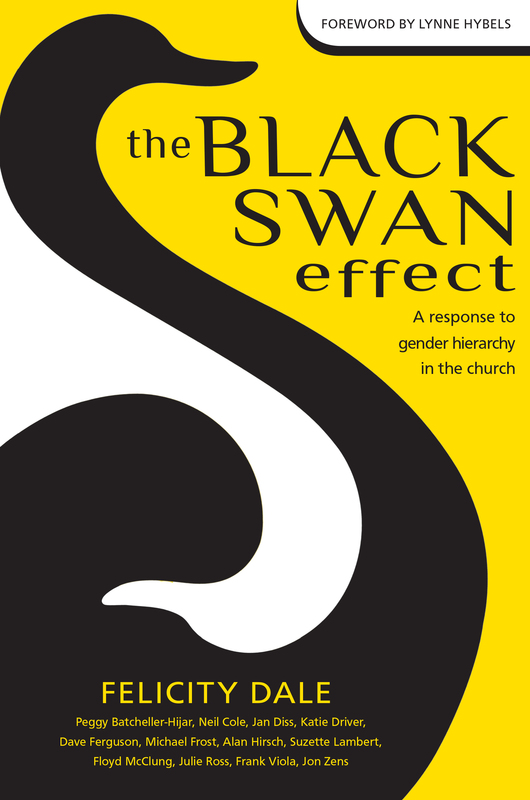 Floyd contributed a chapter to The Black Swan Effect: A response to gender hierarchy in the church. Here’s a quote from the chapter. To be clear, I believe leaders can be both male and female. Obviously the church body is comprised of both genders. And certainly, martyrs have been both male and female. Missionaries are both male and female. But it is important to be more specific, lest we overlook the obvious: both women and men have impacted nations for God because both genders are called by God and both are given leadership gifts. I believe leadership in the church is not meant to be gender-specific because, at its core, leadership is about service. It is not about an office or position. Leaders don’t serve in order to be leaders; they serve because that’s what leaders do. Leaders serve. Period. When we abandon a hierarchical, worldly view of leadership and consider it from this perspective, we can see that both woman and men can, and already do, use their gifts to serve–that is, lead. The church worldwide has been shaped, led , and taught by both men and women– starting in the home, and moving into every sphere of church and public life. 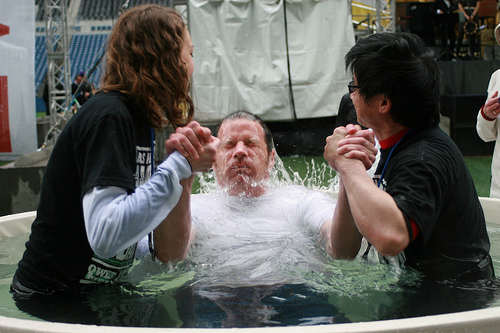 Baptism: this is traditionally done by the pastor. When baptism is delayed so that it can be performed by a special person, it slows the growth of any disciple making movement. In some countries, like India, women are not allowed to be touched by a man unless they are a family member. Although there are no Scriptural examples that specifically describe a woman baptizing, the Great Commission (Matthew 28:18-20) indicates that the person who leads someone to the Lord should be the one to baptize them. Teaching: First Timothy 2:11-12 is often used to stop women teaching. (See my posts (beginning here) on a different interpretation of this passage.) But there are plenty of indications to the contrary. For example, Priscilla (mentioned first) and Aquila taught Apollos. First Corinthians 14:26 encourages everyone to take part in the meetings including teaching (no mention here of this being a “men only” activity). Other lists such as 1 Corinthians 12 and Ephesians 4 that list teaching include activities we know were open to women. We are to teach and admonish one another (Colossians 3:16). Giving communion: Our traditional practice of communion with a wafer and sip of wine is probably unscriptural. Communion was more like a meal (otherwise why does 1 Corinthians 11:21 talk about some going hungry and others getting drunk). While there is nothing to say that women are allowed to “give communion” there’s nothing to say that men are either. Leadership: Leading is one of the gifts given to the body of Christ. In Romans 12: 6-8, it is included in a list of things that God gives to us. Included in that list are gifts that we know women can use–for example, prophecy (Acts 2:17-18) If women were to be prohibited from leading, that might have been a good time to mention it! What similar activities can you think of? Some time ago, I watched a fascinating video by Lance Wallnau called Piercing the Veil. Here’s what I understand to be his basic concept. Up until recently, the idea of women co-laboring alongside men equally has been contested territory. Strategic authority in the church, has, with notable exceptions, been the domain of men. I believe God is bringing fresh revelation to the Scriptures whereby they can, with integrity, be interpreted in such a way that women are not relegated to following men, but under the direction of the Holy Spirit, can initiate and lead Kingdom ventures. God”s gifts to his people are not based on gender. And, like the parable of the talents, whoever uses their gifts wisely will be given more responsibility. When I was in medical school, only around 10 percent of the students in my year were women. Being a physician was thought to be a male profession. In one short generation, that has changed, and now in the UK, more than 50 percent of medical students are women. I always hesitate to use the word “leadership” in these posts, because it can be so easily misinterpreted. Leadership is about servanthood and going lower; it’s not about hierarchy. But God does entrust certain people with more influence. I believe that God is changing the perception that church “leadership” has to be male. He’s doing it by giving fresh revelation on the Scriptures (just as he has done throughout history–for example, with the understanding that salvation is by faith and cannot be earned.) We are fast approaching that critical mass, the tipping point where it’s generally accepted that women are valued and equal co-workers in the Kingdom. And we can all gain access to what was once contested territory. Phoebe is mentioned only once in the New Testament, but a large amount of information can be garnered from that one passage. Phoebe obviously played a key role in the early church in Cenchrae. Another word used to describe Phoebe is prostatis, translated here as helpful. It is a feminine word, which according to Strong’s concordance means “a woman set over others, or a female guardian, protectress, patroness.” It is a feminine version of the word proistemi which means “to be over, to superintend, to preside over” amongst other things. It’s from the same word used in Romans12:8–“he who leads, with diligence.” The word certainly holds connotations of leadership. Paul includes himself as one who has been “helped” (led) by her. Interestingly, it’s not the same word used for help earlier in the sentence. That is a word meaning “one who stands by.” Paul could have used that word again, but instead chose prostatis. Since Paul commends Phoebe, and asks people to receive her, as opposed to sending her greetings as he does to the other people listed in Romans 16, most people think that Phoebe is the one who had been entrusted to carry the letter to the Romans. I recently had a conversation with a lady who all her life has been told by her church that her husband’s role is the only important one, and her job is to support him. After centuries of being taught that men lead, women follow, many women are content to be passive, waiting for someone else to take a lead. God is giving women all over the world permission to take the initiative, to escape from their theological cages to follow where he’s leading them, and men are championing their efforts. When will this happen here in the USA? Where are the women who will act as role models? Where are the men who will encourage and support them? What might happen when men and women co-labor together for the sake of the Kingdom. 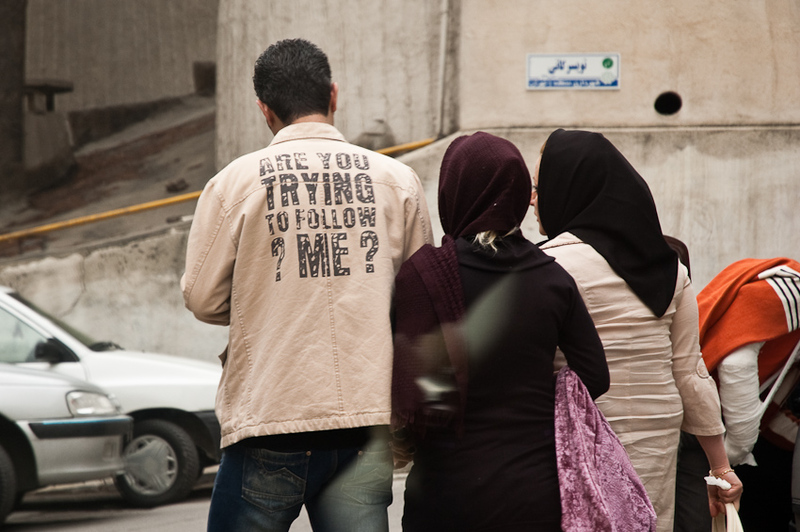 Could we see a generation emerge that has never been hindered by gender constraints? Author simplychurch1Posted on March 6, 2013 Categories Kingdom WomenTags kingdom women, leadership, women, women in church9 Comments on Men lead, women follow? People understand the importance of listening to God and doing what he says. The prayer movement and 24/7 prayer has an impact. Many churches are becoming more missional rather than attractional. Luke 10 principles are being applied by many across the church spectrum. Legacy churches are starting missional communities. Simple/organic churches are using these principles to produce daughter and grand-daughter churches. Churches are engaging in their communities with a resultant impact for the Kingdom. We've rediscovered some of the principles that result in multiplication rather than addition at every level. Simplicity and reproducibility are key. Discipleship that reproduces more disciples (rather than conversion) is of increasing value. There's a blurring of distinctives between groups of people–charismatic/non-charismatic, organic/legacy, clergy/laity. Women have an increasingly equal and valued role. Legacy churches and simple/organic churches are working together with a focus on the Kingdom of God. Who knows what might happen if nobody minds who gets the credit. The separation of sacred and secular is waning. Ordinary work and its potential to be of impact for the Kingdom is valued. Church is happening in the workplace. God is working in supernatural ways; we are seeing miracles, healings and deliverances. God is raising up apostolic and prophetic leaders who serve from the foundations rather than rule from the rooftops. He is giving them his strategies and plans for their areas. We recognize that God is working in other parts of the world and we're willing to learn from other nations.